As none of you know, I grew up in a particularly jovial spiritual tradition. 200 years ago, an old white dude decided that he wanted to create a denomination that rivaled the Spanish Inquisition for unbridled forgiveness and joy, so he used bass-ackwards logic (read: the myth of objective thought) to interpret certain scriptures to agree with his preconceived notion as to what a church should be. Some other dudes took that and ran with it. A few centuries later, his spiritual foresight inspired unemployed librarians (i.e., me) to write bitter posts about all their “favorite” memories of growing up in a particular tradition that will not be named for legal purposes. Below, my favorite memories of growing up in a fundamentalist Christian tradition. The day our elders told us we couldn’t paint the youth group room anything except white because other colors were “unbiblical” (true story). Subsequently, when they hosted a meeting to address the shocking drop in youth group Sunday school attendance (from 40 people to 2 in two years) none of us showed up because there was no biblical precedent for us being there. Love it. The day a guest preacher told us there were only three (biblical) physical positions in which to pray. Speaking of prayer, the month where the subject of every sermon was about how you couldn’t pray to Jesus. Also the few months where the main topic of theological discovery was what to wear to church on Sunday morning. Our preacher kept saying “you should wear what you would wear to your best friend’s funeral.” Despite the fact that if your best friend came back to life your initial thought would probably not be, “Where’s my suit?” This was also a pretty accurate representation of the enjoyment factor of every Sunday morning. Wow! These are all coming out all at once. Little did you know, miracles don’t exist. They stopped after the completion of the Bible. God doesn’t do miracles today, and if you happen to be an old man who has the cajones to get in front of the congregation and say, “I’d like to believe that God could do miracles today if he wanted to,” the church’s youth minister will get in front of the congregation and denounce you as blasphemous. The interactions at the Golden Corral buffet after THAT Sunday morning were especially awkward. Let me tell you. The myriad discussions on why attendance for that particular denomination (which technically wasn’t a denomination, but the, “one true church”) had plummeted over the past few decades. $5 says they're still trying to figure it out. Ok. So I’m bitter. I’m not going to deny it, and going off in such a manner is the polar opposite of the spirit of forgiveness. I'll own up to that. One thing I’ve struggled to do over the past five or six years is learn how to forgive a particular religious tradition that’s still very much a part of my life. God loves people who perpetuate this kind of mentality as much as he loves people like me. For the longest time, I judged others that have been sucked into years of cyclical spiritual abuse instead of, you know, trying to help them out of it. Judging is a heck of a lot easier. Judging won’t get you disowned by your family, yelled at, or labeled as worse than an unbeliever. However, judging also means you will be judged as well, which is infinitely more frightening, knowing all of the terrible things I’ve done. It took prayer, and reading the Bible of all things, to make me finally realize that. 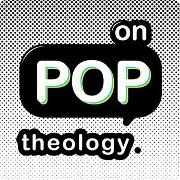 Jonathan Harrison is On Pop Theology's regional expert on Nick Cage juvenilia He writes over at driedhumor.wordpress.com. I thought it might be three other physical positions you were talking about. Ben can I nominate this for comment of the year? Whoever this is, please send me an email or something so I know who you are. This is priceless.